Combining over 20 years’ experience we pride ourselves on giving the complete project package to our clients. Supplying and installing all of the above with a dedicated construction manager who will manage your project from Tender, Design, Pre construction, Installation, Phased handovers and through to final handover. Contactable 7 days a week our management team are always available to discuss any queries regarding your project. 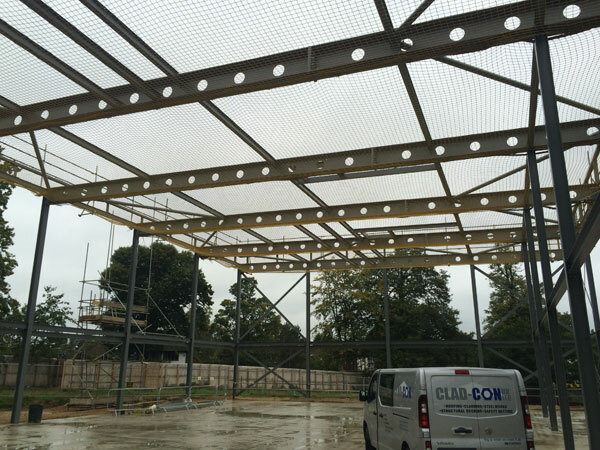 We have a team of directly employed installers who are loyal and committed to achieving Clad-Con UK’s high standards with regard to Safety, Quality of work and completion dates whilst working on our projects. All our employees have all relevant certifications including CSCS, CPCS, IPAF, PASMA and FASET. We continually monitor the industry standards to ensure our employees have the most up to date training available. Contact Us for a competitive quote for all your roofing and cladding needs.